Dr. Martin Luther King Jr. Day was designated by President Ronald Regan in 1983 to be celebrated on the 3rd Monday of January. 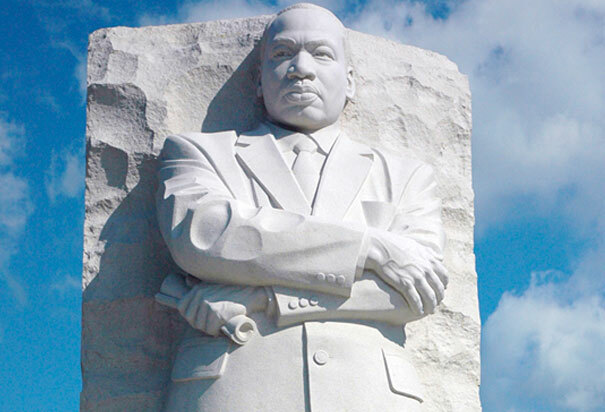 The day honors the life and legacy of Dr. Martin Luther King Jr. 2013 was the 50th anniversary of the Civil Rights March on Washington and Dr. King’s “I have a dream” speech. There were many commemorative services held in August for this anniversary. Every year, the King Center in Atlanta, hosts events to celebrate Dr. King. The King Center is “a non-profit organization that is dedicated to educating a global network of allied individuals and organizations to use Dr. King’s philosophy and methods of non-violence to collectively create the “Beloved Community” that he envisioned.” The organization was established by his widow, Coretta Scott King, as a living memorial dedicated to the preservation and advancement of the work of Dr. Martin Luther King Jr. There are over 1 million visitors to the King Center each year to see Dr. King’s personal memorabilia and visit the library and archives. Ten days of events to celebrate the legacy of Dr. King started January 10th and runs through Monday, January 20th. The events include speakers, movie screenings and discussions on Dr. King’s non-violence philosophy. The events on January 20th will range from church services to rallies to a day of service. Organizations across the country will be sponsoring a day of civic service in honor of Dr. King. In the Atlanta area, Hands on Atlanta is sponsoring the Martin Luther King Jr. Day of Service Project. More than 3,000 volunteers will be in the Atlanta communities, schools and non-profits to help with community needs such as poverty alleviation and the beautification of civil rights historic sites. There will also be school based civic education programs with over 1000 members of AmeriCorps going into local elementary, middle and high schools to help moderate discussions about the Civil Rights Act and creating a better future. The public events on January 20th include the Annual Commemorative Service starting at 8am at the Ebenezer Baptist Church. The keynote speaker is Reverend Raphael Warnock, the Senior Pastor at the Ebenezer Baptist Church. The service is free, but with limited seating. The King Week Holiday March and Rally starts at 1:45pm at Auburn Avenue in the King National Park Area. The Rally runs to 4pm and is free and open to the public. You can also visit the birthplace of Martin Luther King Jr for free and take a tour conducted by the National Park Service. Some local museums will also be free that day, including the Imagine It! Children’s Museum where there will be a special “In the Name of Love” program. Check with your local museums for Martin Luther King programs and information.